Stephen Coate earned a first class honors B.Sc (Econ) degree in Economics from the University College of Swansea in Wales in June 1980. He then earned an M.A. in Public Policy and Planning (with distinction) from the University of Sussex in England in September 1981. After two years of graduate study in Economics at Queen's University in Canada, he began his Ph.D. in Economics at Northwestern University in the USA in September 1984. He received his Ph.D. in June 1988. Coate is currently the Kiplinger Professor of Public Policy in the Department of Economics at Cornell University. He has previously held positions at the Kennedy School of Government at Harvard University, the Department of Economics at the University of Pennsylvania, and the Department of Economics at Yale University. Coate was elected a Fellow of the American Academy of Arts and Sciences in 2017 and a Fellow of the Econometric Society in 2004. He is a Research Associate of the National Bureau of Economic Research. 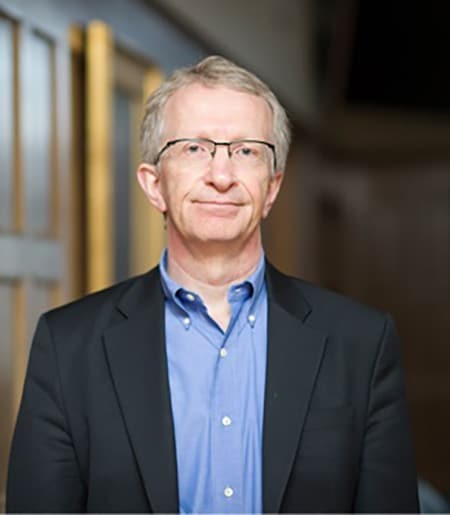 Coate has served as a Co-Editor of the Journal of Public Economics and an Associate Editor of the American Economic Review, Quarterly Journal of Economics, and American Economic Journal: Economic Policy. Stephen Coate is an economist who develops theoretical models to analyze public policy issues. He has studied a broad range of contemporary issues, including affirmative action, the design of welfare programs, public health insurance, pet overpopulation, the regulation of broadcasting, residential zoning, and school choice. He is particularly interested in the rules governing political systems. His work here has focused on balanced budget rules, campaign finance policy, citizen initiatives, elected versus appointed regulators, the design of political districts, and fiscal limits. He has also contributed to the development of the citizen-candidate model, a foundational model in political science. He is currently working on issues in state and local public economics. “Will Affirmative Action Policies Eliminate Negative Stereotypes?” American Economic Review, Vol. 83, No. 5, December 1993, 1220-1240 (with Glenn Loury). “The Economics of Rotating Savings and Credit Associations,” American Economic Review, Vol. 83, No. 4, September 1993, 792-810 (with Timothy Besley and Glenn Loury). “Altruism, the Samaritan’s Dilemma and Government Transfer Policy,” American Economic Review, Vol. 85, No. 1, March 1995, 46-57. “On the Form of Transfers to Special Interests,” Journal of Political Economy, Vol. 103, No. 6, December 1995, 1210-1235 (with Stephen Morris). “An Economic Model of Representative Democracy,” Quarterly Journal of Economics, Vol. 112, No. 1, February 1997, 85-106 (with Timothy Besley). “Centralized versus Decentralized Provision of Local Public Goods: A Political Economy Analysis,” Journal of Public Economics, Vol 87, No. 12, December 2003, 2611-2637 (with Timothy Besley). “Pareto Improving Campaign Finance Policy,” American Economic Review, Vol 94, No. 3, June 2004, 628-655. “Market Provision of Broadcasting: A Welfare Analysis,” Review of Economic Studies, Vol 72, No. 4, October 2005, 947-972 (with Simon Anderson). “Socially Optimal Districting: A Theoretical and Empirical Exploration,” Quarterly Journal of Economics, Vol 122, No. 4, November 2007, 1409-1471 (with Brian Knight). “A Dynamic Theory of Public Spending, Taxation, and Debt,” American Economic Review, Vol 98, No. 1, March 2008, 201-236 (with Marco Battaglini). “Public School Choice: An Economic Analysis,” American Economic Journal: Economic Policy, forthcoming (with Levon Barseghyan and Damon Clark). resubmitted to Journal of Public Economics).